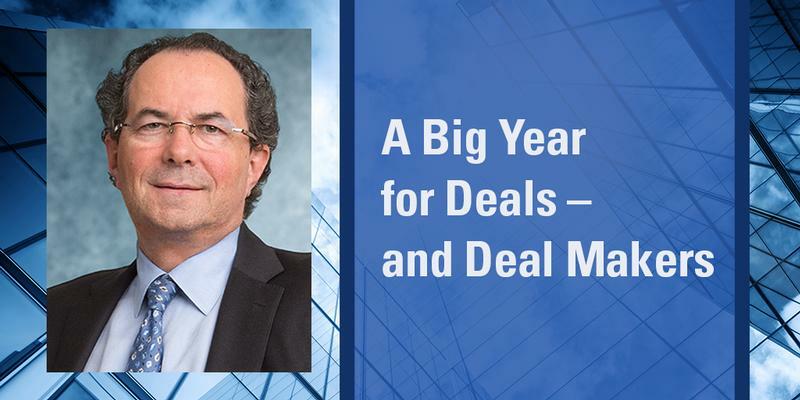 In December 2018, The Financial Times described Frank Aquila as “one of the most influential and high-profile M&A and corporate lawyers in the U.S.” who has “played a role in many of the largest and most complex deals” and The Wall Street Journal profiled him as one of the seven top dealmakers of the year. These recognitions highlight Mr. Aquila’s broad multidisciplinary practice. During the course of his career he has been called upon by global leaders such as Amgen, Andeavor, Anheuser-Busch InBev, Cheniere Energy, Diageo, Diebold Nixdorf, International Airline Group, Kraft, Navistar International and United Rentals to advise them and their boards of directors on M&A, proxy contests, activism, unsolicited bids, corporate governance, crisis management and a range of matters affecting corporate policy and strategy. Mr. Aquila has been consistently recognized as one of the world’s leading mergers and acquisitions lawyers. The breadth of his practice has resulted in his being one of only a handful of lawyers who has been ranked by Chambers Global in Band 1 (their top tier), as an American Lawyer “Dealmaker of the Year,” as a recipient of the Atlas Award as “Global M&A Lawyer of the Year” and as a three-time Law360 MVP. For his work in corporate governance, Mr. Aquila has been named several times by the National Association of Corporate Directors (NACD) to their “Directorship 100” as one of the 100 most influential people in corporate governance and inside the boardroom. Best Lawyers in America named Mr. Aquila as its 2017 Corporate Governance Law “Lawyer of the Year.” In 2014, Global M&A Network recognized him as one of the top 50 lawyers in the world. “Deal of the Year” – Kraft merger with Heinz. During the course of his career, Mr. Aquila has advised numerous clients in many of the largest and most important global transactions that have been transformational across a range of business sectors‎. In pharmaceuticals he represented The Upjohn Company in its merger with Pharmacia to create Pharmacia & Upjohn and its subsequent acquisition of Monsanto to form Pharmacia. In beverage alcohol Mr. Aquila represented Grand Metropolitan in its combination with Guinness to form Diageo and Diageo in its acquisition of Seagram Wine & Spirits. In brewing he represented InBev in its successful bid for Anheuser-Busch and Anheuser-Busch InBev in its follow-on deals to acquire SABMiller, Grupo Modelo and Oriental Brewery. In biotech he represented Amgen in its acquisitions of Abgenix and Onyx. In aviation he represented British Airways in its combination with Iberia to form IAG International Airlines Group. In consumer packaged goods Mr. Aquila represented Pillsbury in its combination with General Mills and Kraft in its merger with H.J. Heinz to form The Kraft Heinz Company. In equipment rental he represented United Rentals in its acquisition of RSC to form the world’s largest equipment rental company. In automated payment systems and ATMs Mr. Aquila represented Diebold in its combination with Wincor Nixdorf to form Diebold Nixdorf. In food and beverage retailing Mr. Aquila advised Panera in its acquisition by JAB. In oil and gas Mr. Aquila represented Andeavor in its acquisition by Marathon Petroleum. Mr. Aquila is a member of the Firm’s Management Committee. Previously, Mr. Aquila was the co-managing partner of Sullivan & Cromwell’s General Practice Group and in that role he was responsible for almost 500 lawyers in 12 offices around the world. This group includes the Firm’s corporate, financial institutions, securities, mergers and acquisitions, corporate governance, real estate, leveraged finance, private equity, project finance, restructuring and intellectual property transactional practices. 1983, Brooklyn Law School, J.D.